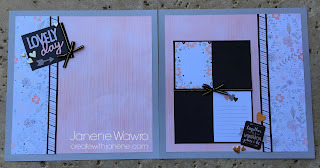 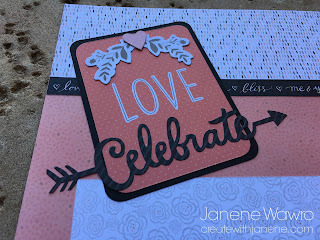 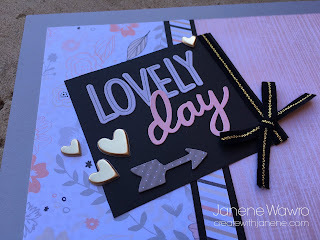 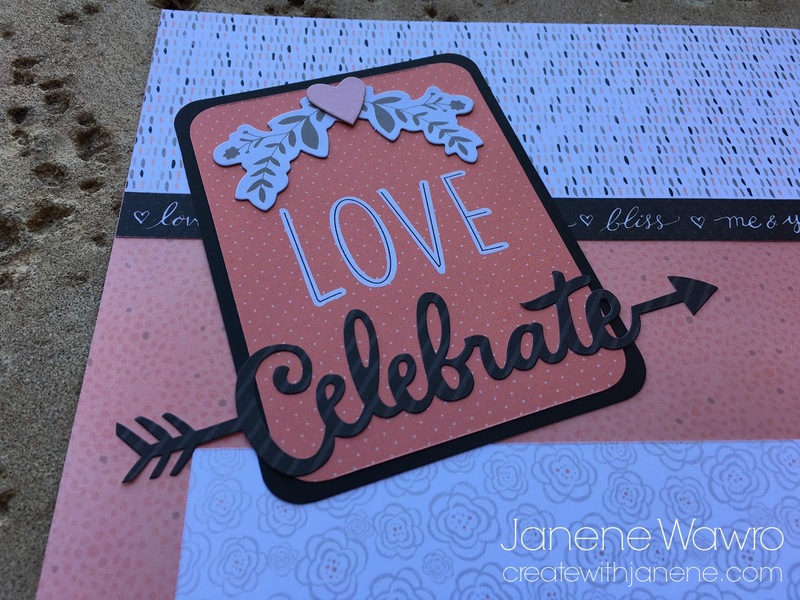 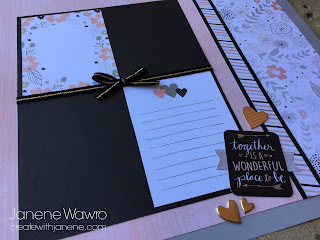 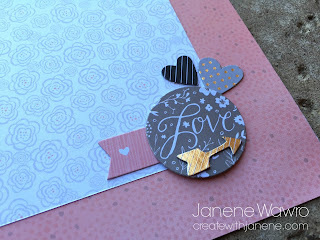 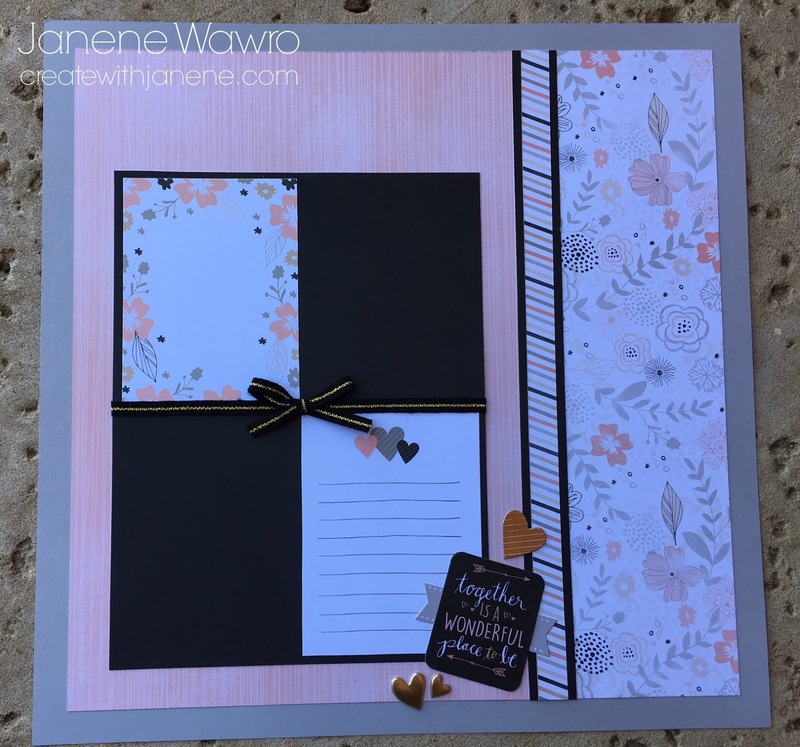 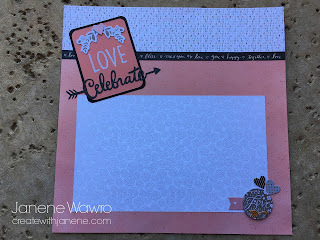 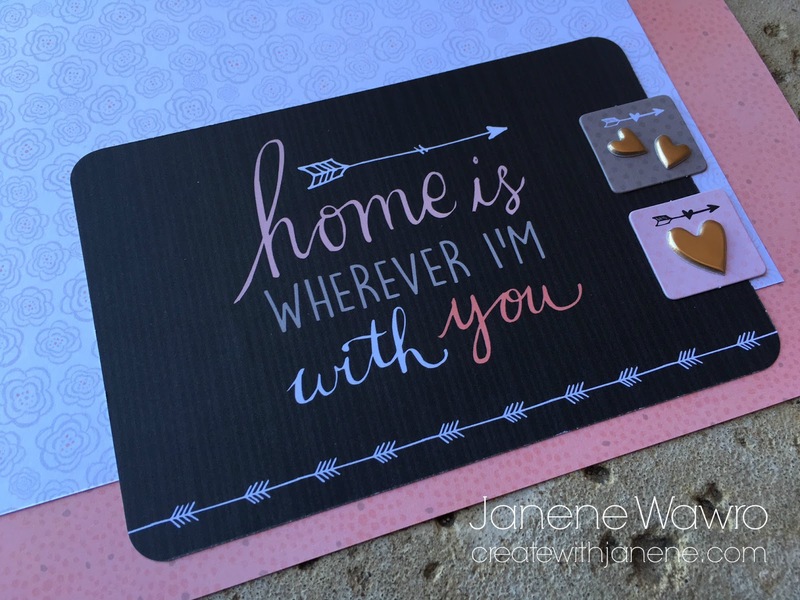 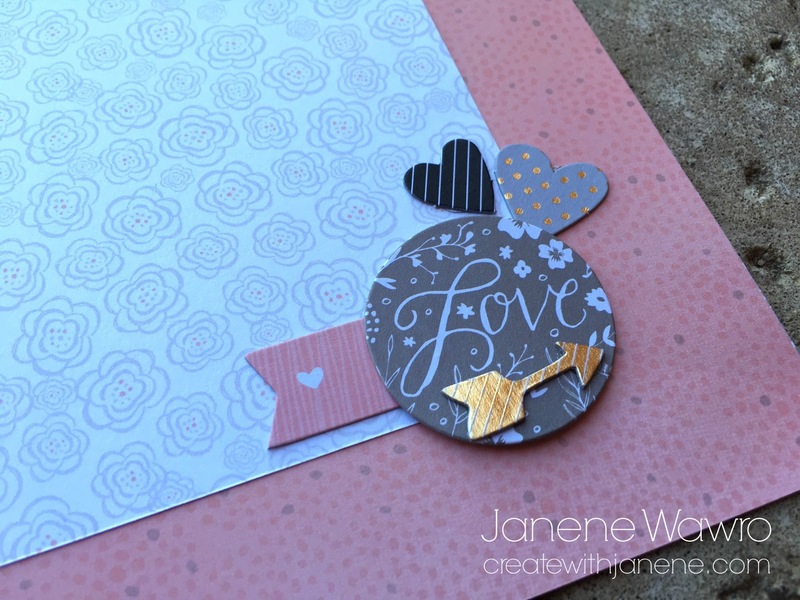 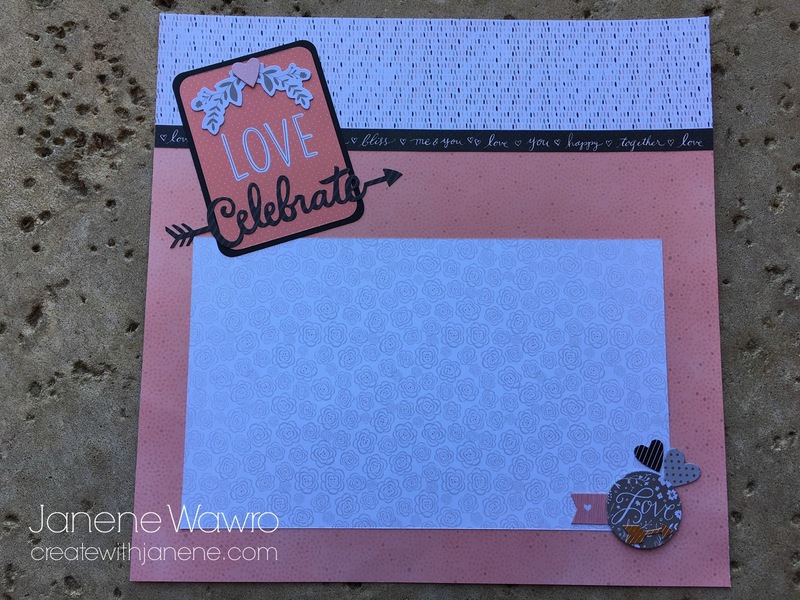 Create With Janene: February 2016 Club Projects "Charlotte"
February 2016 Club Projects "Charlotte"
My scrapbook club members will be creating two layouts and a matching card this month. 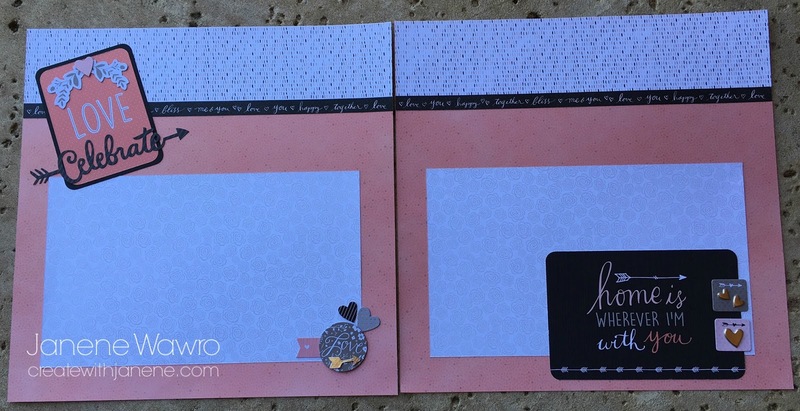 This is our first layout - tons of room for photos and journaling in whatever size/orientation works for your photos! This is the card we're making...I'm in love with it. 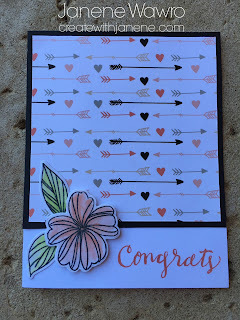 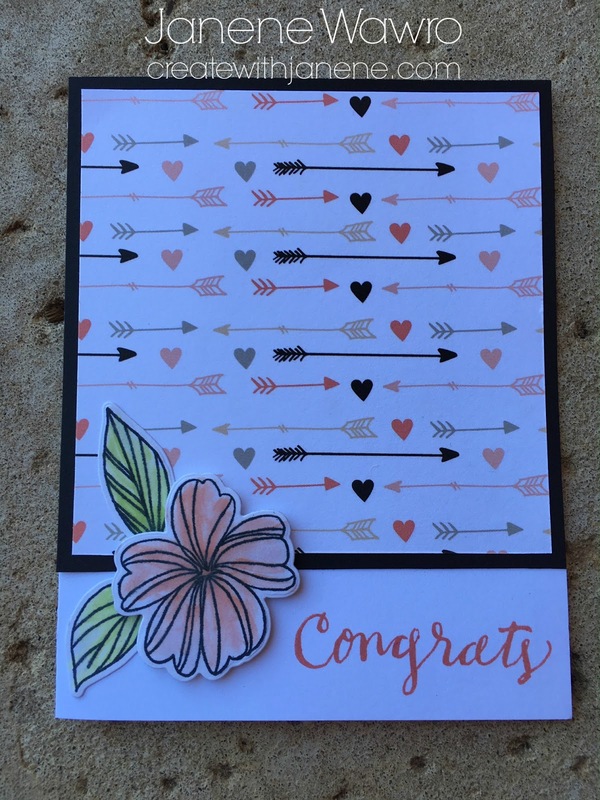 It took me just a few minutes to make, because I started with a bulk white card base, added part of a Picture My Life card for the top, then used our thin cuts and matching stamps to create the flower. Finished off by using our Tombow blending pen dipped in my stamp pad to color with a watercolor effect. 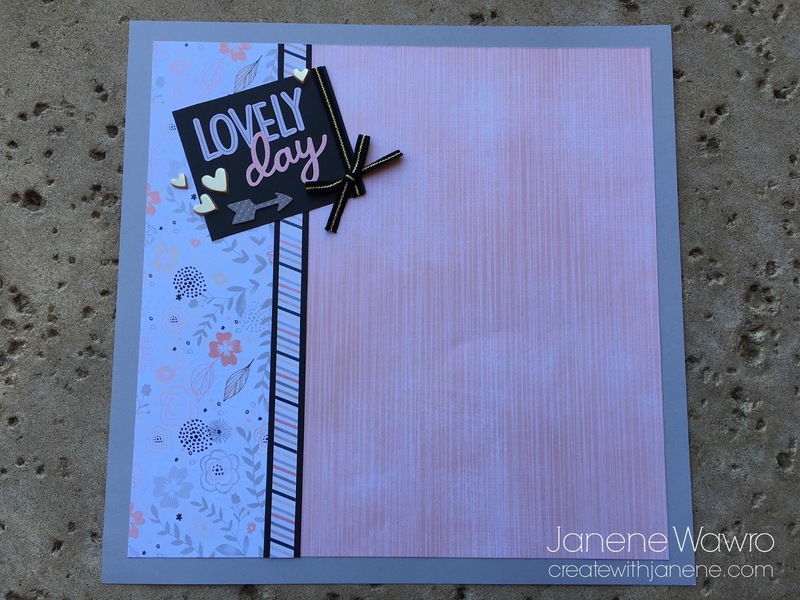 So pretty and so easy!